← CDC Claim Earthquake is a Type of Weather. Helpful for understanding how the vast sums of money washing around Washington explain the huge “loans” to Solyndra and other non-businesses. Geke.us breaks it down for us. 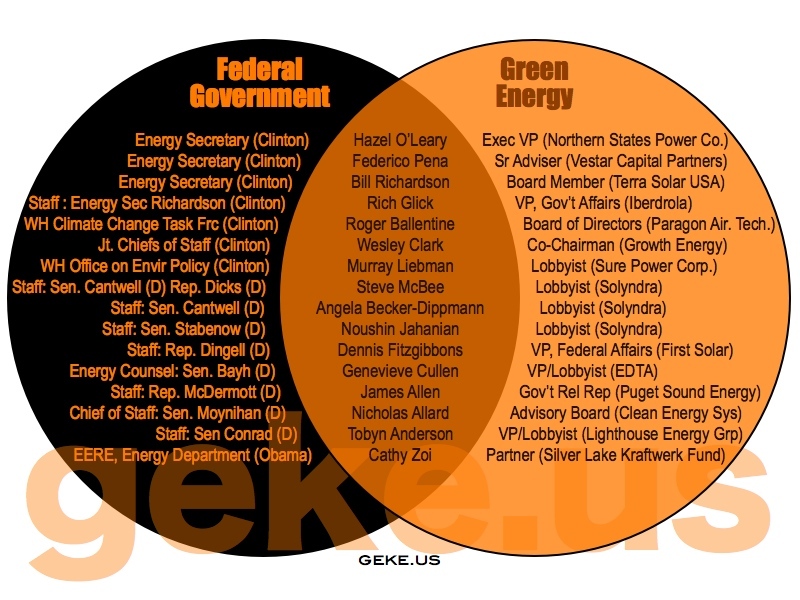 Green energy lobbyists, investors, and speculators and their ties to the Obama and Clinton administrations. The Green Corruption Files is run by Christine Lakatos and Marita Noon, their ‘about us’ is hidden halfway down the rather long home page. Sorry for the double post editor, the .au suffix on the above link appends automatically and should have been deleted in foregoing post, please correct if you wish to retain it, tks.